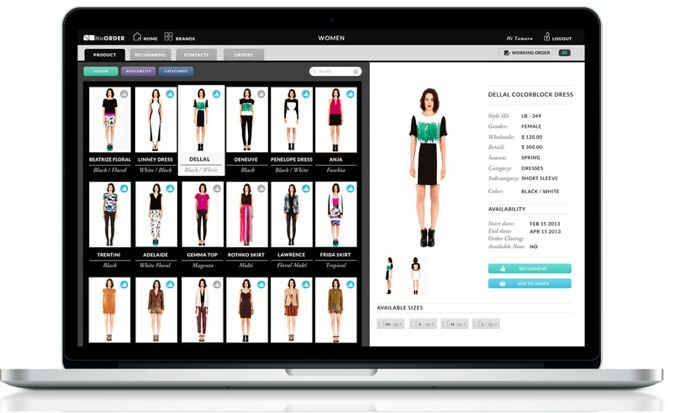 NuORDER, a new L.A.-based startup that aims to bring the wholesale fashion business online, has raised $3 million led by GRP, with Greycroft, Aileen Lee, David Tisch, Creative Artists Agency, Brian Spaly, Mortimer Singer and Rachel Zoe participating in the round. Traditionally, the wholesale fashion business is done offline. Buyers for stores and boutiques meet with manufacturers and designers to choose what to buy for their seasons. NuORDER is a marketplace that allows users to conduct their wholesale business online. Brands and designers are able to create custom line sheets, place orders, and update inventory in real time, and the offline iPad app allows brands to conduct business anytime, anywhere. Buyers can access collections online and are able to place digital orders. Instead of creating paper lookbooks, designers and brands can create digital pdf linesheets. And they can recommend products to buyers within the interface, including best sellers, immediates, or a customized selection appropriate for their clientele. Additionally, users can integrate NuORDER with their inventory or accounting systems. NuORDER is free for buyers to use; brands/designers pay a subscription fee. Wells also says that NuORDER’s offering is designed for the iPad, so even during in-person meetings, designers can easily showcase their lines using the tablet device. Helmut Lang, Levi’s, Elizabeth and James, Adidas, Ted Baker, Cheap Monday, Alternative Apparel, and Citizens of Humanity are already using NuORDER to facilitate their core wholesale business. Over 750,000 units of clothing have been sold through NuORDER in the last 12 months. Obviously designers like Rachel Zoe investing in the company validate the disruption NuORDER could bring to the wholesale clothing business.